In sub-Saharan Africa, only 64% of children complete primary school and even less complete secondary school. The reality in rural areas is even harsher. Faced with few resources, many families choose to educate only their sons (a better investment); daughters are sent to work in cities or marry early. Nevertheless, education is above all a vital lifeline, exemplified by the fact that girls under 20 are experiencing rates of HIV infection five times that of boys; while girls with a secondary education are three times less likely to get the infection than those who receive no education. Camfed, founded by Ann Cotton, started out by supporting 32 girls through school in Zimbabwe in 1993. Since then it has expanded its success across 2,295 communities in five sub-Saharan countries. The results of Camfed’s approach are evident in improved school enrolment, retention and passing rates for girls. The young women Camfed supported through school are continuing to become lawyers, teachers, nurses and businesswomen; many are among the first to reach this level within their communities. 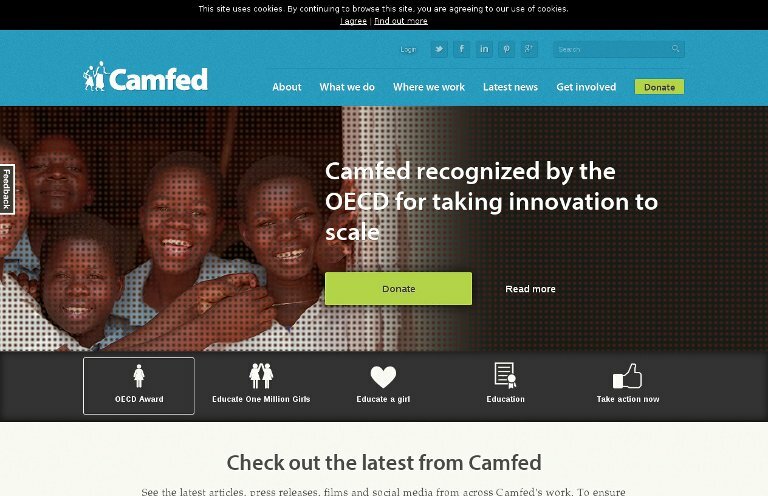 Those who graduate from school go on to join the Camfed alumni network, known as Cama.